Can I recreate my custom Channel Grouping in Data Studio? Before reading this article, we recommend that you try pulling Funnel data into Google Data Studio. Check out this article to learn how to do so! It's common to create a custom set of Channels in Google Analytics using the Channel Grouping configuration. This grouping is not recreated in Data Studio automatically when you connect Google Analytics as a data source. 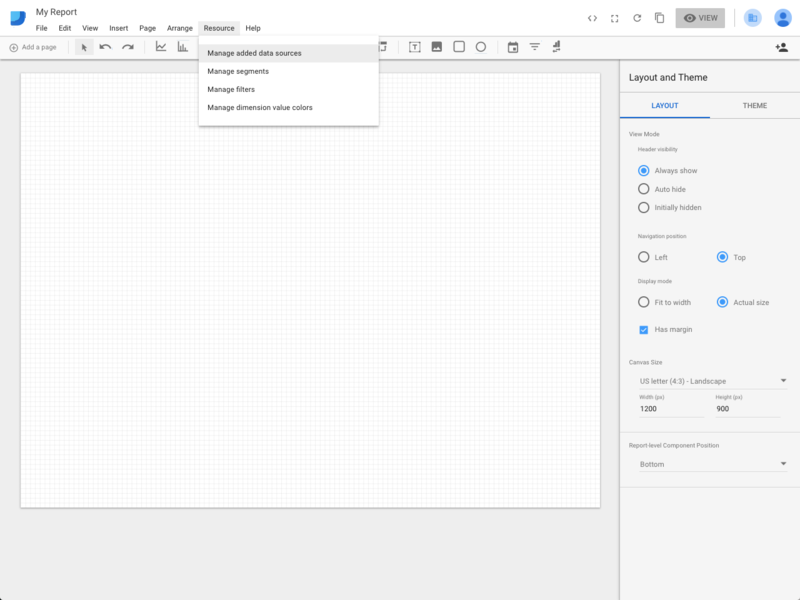 Unless you have created a custom dimension in Funnel that mirrors your Channel Grouping, the same is true when you set up a Funnel account as a new data source in Data Studio. If you feel that this is a more convenient way to go, you can try to replicate your Channel Grouping as a dimension directly in your Data Studio report. In this example, the grouping will be based entirely on utm_source and utm_medium tag values to make it applicable to both scenarios mentioned above. Also, this article assumes that you have already created a report using Google Analytics or Funnel as your data source! Log in to Data Studio and open your report. Navigate to Resource > Manage added data sources. NOTE: Replacing the GA Source and GA Medium dimension names with Source and Medium would adapt this snippet for a custom field in a report where Google Analytics was set up as the data source instead. If you've followed the steps correctly, Data Studio will validate the formula and create your custom field. You can now use this field as a dimension in your report widgets!